We are able to offer the following additional features for this building. 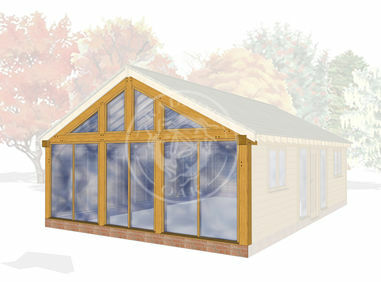 Please note Radnor Oak provide the oak frame and ancillary timber components. The layouts shown are to demonstrate possible examples of how the buildings can be used. To find out more about what is included in please click here. Please note that your quotation is for the kit of a traditionally jointed oak framed building including any joinery items you have requested (no site services). For local projects within a 1 hour radius, we can offer a full turnkey service including site visit, planning and construction services. For anything further afield we can supply contact details of architects and contractors who can assist with your build. Would you like to include ironmongery on your quote? Not sure exactly what building specification you want or would like to include/alter something not listed? Just leave us a brief explanation and we will get back to you shortly. Site Work: Please tick this box if you are interested in the inclusion of site work. Please tick this box if you would like to receive emails from Radnor Oak regarding offers, discounts, products and news.